Your Highlands Family Chiropractic Team is here to help you! 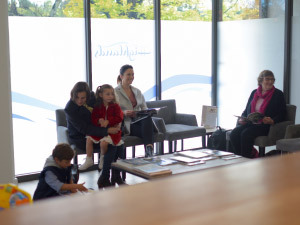 Although now called the Highlands Family Chiropractic, our practice has been running since 1984 in the Bowral area. We’ve changed locations on several occasions during this time, but our longstanding patients have continued to visit the practice for their ongoing chiropractic care. We are proud to serve the Southern Highlands community and also Crookwell and it’s surrounding areas. We’ll always make sure that chiropractic is the right treatment for you so you can safely place your trust in us. Beyond this, Dr Peter is keen to improve the health of people in the community and for them to achieve their health and fitness goals. While Dr Peter has a specialist interest in paediatrics, sporting injuries and senior health, he welcomes patients at all stages of their life into his family practice. From children with athletic injuries to their parents’ work-related musculoskeletal problems and the arthritis that may affect their grandparents, Dr Peter is keen to work with a diverse range of clients. We provide services to three or four generations in some families, no matter where they are in life. We’ll work with you to enhance your health and well-being, giving you a solid foundation from which to move forward. Dr Peter places importance on reassessing his clients’ progress and he additionally embraces a holistic approach. Taking a holistic approach to patient care means that Dr Peter can provide insight into other areas, such as nutrition, that can impact on someone’s wellness, offering patients the best chance to see an improvement in their health. Besides Dr Peter, Highlands Family Chiropractic has three other staff members. Carolyn Buckingham is the Practice Manager, while Georgia Branson is our Chiropractic Assistants in Crookwell. Keshni Mudaliar is a Massage Therapist and it is possible to arrange a massage independent of any chiropractic care. We also have Dianna Porter, our acupuncturist. Phone Highlands Family Chiropractic today to find out how an appointment with Dr Peter and his team can benefit your health and well-being.